"Almost by accident, and initially a skeptic, Al Hodgson became one of the most important figures in the history of Bigfoot research. It was his phone call to Roger Patterson that led to the Patterson-Gimlin Bigfoot film. He was also the first person they called after filming the creature. His connections to the community, and his position as a public figure and businessman, linked up Bigfoot witnesses and researchers for decades. 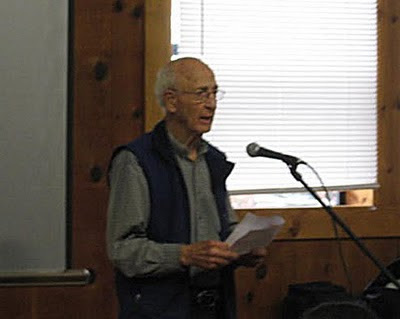 He did early primary investigations with Betty Allen, local journalist and pioneering Bigfoot researcher, starting in the early 1960s. 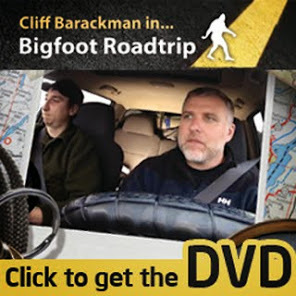 He was there before Bigfoot became a household word, and became a go-to guy for Bigfoot information after the famous 1958 Bluff Creek events and trackway finds. It is Al's memory that preserves much of the history of this phenomenon, and we've sought to explore it all with him." Steven Streufert wrote this elegant paragraph summarizing the historical significance of Al Hodgson. I couldn't have written it better, so I'll just let that be the introduction to Part 3 of this historic interview. Click here to read the Al Hodgson Interview, Part 3. If you haven't read Part 1 or Part 2, click the links to do so. Cliff, thanks for linking up to my blog! Thanks for the info Steve! I'm looking forward to the interview.